I sort of made fun about WebOS on a PC the other day; but after a nice chat with Max, I began to realize that there indeed is a use for WebOS on a PC... on a Laptop to be precise. Imagine also that by some magic means you'd tell it to boot WebOS instead of Windows/Linux when you power it on or de-hibernate it. Imagine that you'd have an excellent browser, video player, good-enough email app, good-enough word/excel/powerpoint viewer and editor, ... all that you have on regular iPads or Android-Tablets today. That'd give you an iPad/Tablet-like instant-on-gadget with a full QWERTY keyboard and excellent battery life. 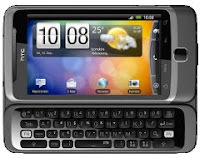 You'd need something like a "WebOS key" which you hold to "boot" the WebOS mode. Windows must not even start to de-hibernate. And if you really need the full enterprisey stuff to create rich corporate boring PowerPoint presentations with pie-charts and everything, you can still boot into Windows, like you used to. Come to think of it, I might actually want WebOS on my laptopThinkPad. b) is used mainly from an iPod touch / iPad / other mobile device. On all of those devices, numeric input is cumbersome, because you first have to switch the virtual keyboard into numeric mode. Yesterday I googled around again for this, and finally found a solution. All of them have the effect on the iPhone/iPad that they switch to a virtual keyboard layout that is optimized for the input, e.g. 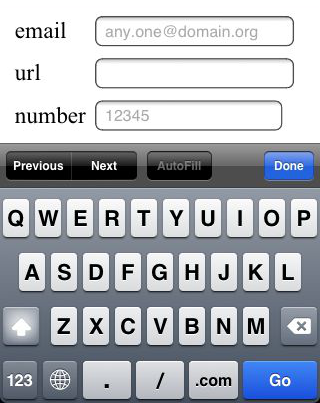 The url-keyboard on the iPhone will have the ".com" key; also the . and the / key will be placed more prominently. The number-keyboard on the iPhone will switch the numbers in the top row. On my Android 2.2  HTC only the number mode works, but it gives you a numeric block / phone-style keyboard, which is even better for numeric input. 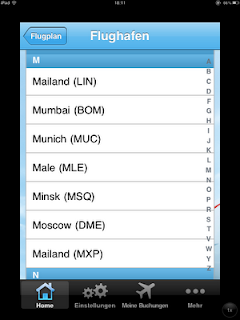 HTML5 defines some more values for the type like "date", "week", "month", "time", ... and "range" for sliders, i.e. for numeric values with clear and narrow boundaries, but those are rarely implemented as of today. See Dive Into HTML5 for an excellent overview including browser-support. Since all of the above are defined only starting HTLM5, they are not "supported" on many current browsers, but the good thing is, that all browsers, that do not explicitely support them, revert to type="text" for unknown input-types. Sort of like the search box in Firefox. 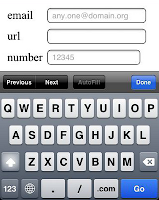 So back to my initial problem, defaulting to numeric input on mobile devices. Just replace input type="text" with input type="number", there is no down-side to this. It is user-friendly on mobile devices, and works like it used to on all other browsers. I'll check 2.3 and 3.0 once my PC is fast enough for the SDK. Android SDK and a new PC ? So now that I finally moved to Android, I installed the Android SDK on my home computer plus the NetBeans plugin. I seems to work fine, I can get the Hello World sample to compile and package and it shows up in the emulator. So I guess I need a new PC now as well.. So long, Nokia, and thanks for all the fish handsets. Had a great time and fun with Nokia handsets for the last 14 years or so ... But now I'm leaving. I'm now proud owner of my own HTC Desire Z (not only the test equipment, thanks again Richie). and that the WebOS Emulator is built on Virtualbox, I assume that I could soon have a copy of WebOS running on my PC? A couple of weeks ago I read iWoz: How I invented the Personal Computer and had fun doing it by and about Steve Wozniak. Only I forgot to blog about it then. So here you go. Fascinating book... well, when I say that, it will not win the Nobel prize, but it is so full of memories. If you ever were a geek, if the name Steve Wozniak has any meaning to you... go and read this book. Nice observation (by my wife, actually), that - until half a year ago - we used to be a pure Nokia family... for years. Me, her, the twins... only Nokia. If there is such a thing as a Nokia fan boy - I probably was one. Now we are pure Android family (2x HTC, 1x Samsung, 1x Sony Ericsson; see here and here). IMHO, this says a lot about Nokia. So, the (Android) Collective got me. Tomorrow I'll finally buy one. Resistance has never been more futile. btw2: and that's about the most StarTrek references you'll ever get from me. I wonder what the (intended) sort order was here ? Is it really that hard ? How can you sort on the first letter (obviously, because it is sort of grouped by the first letter) but not on the rest ? 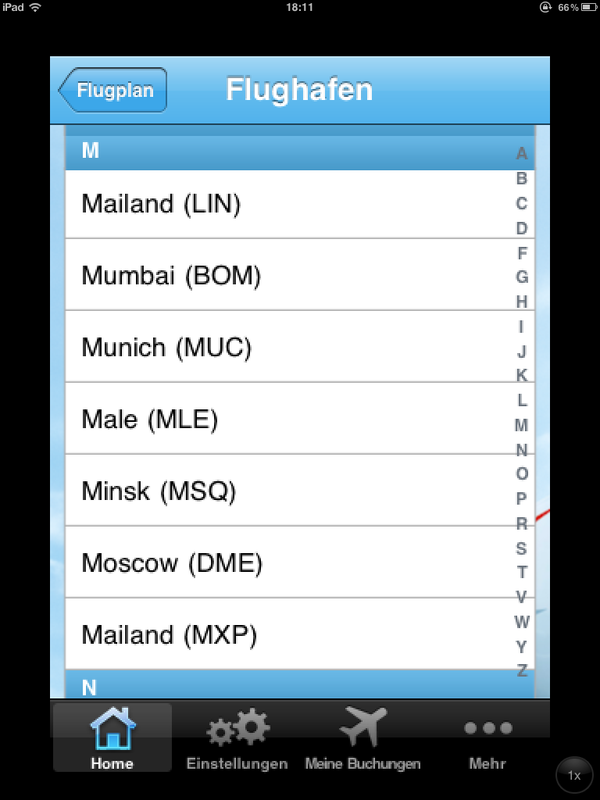 The list is neither sorted in English, nor local language, nor the airport codes. I don't see any sort order here (apart from the initial letter).